When contributing to a franchise with singular cultural standing and an obsessive fan base, how does one evade one’s film being largely obscured by a firestorm of nitpicking, over-interpretation and delusional theorising? If one is Ridley Scott making Prometheus, the definitely-not-a-prequel story of stuff that happened in the Alien saga before Alien, one basically doesn’t bother. One rather invites and encourages the firestorm, in fact, by making a film that dangles innumerable hints, red herrings and potential new story routes. It fits that a writer of Lost – Damon Lindelof – shares script credit here; like Lost, Prometheus stirs the suspicion that the creators are no wiser than the audience about what all the scattergun clues and symbols actually add up to. Still, as The Big Sleep and Twin Peaks prove, stories don’t have to add up to be compelling. 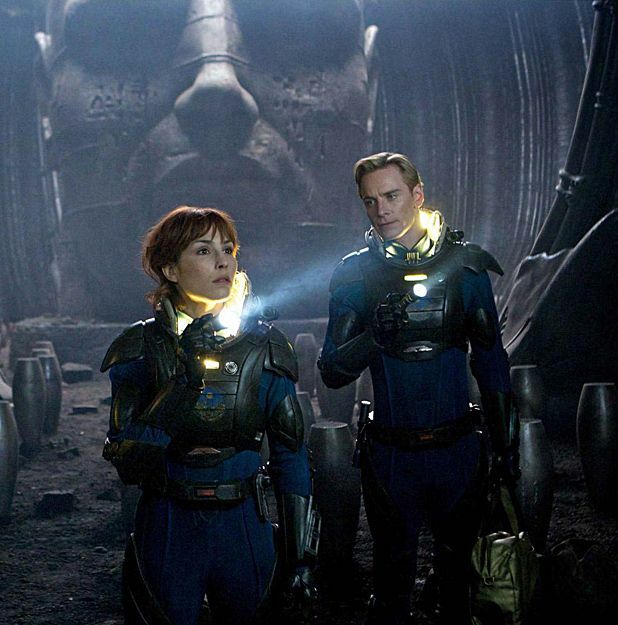 What’s more troublesome in Prometheus than the murky plotting is the inconsistency of tone that sees it sidle awkwardly between daft genre thrills, arty detachment and lofty philosophical gravitas. It’s as if they want us to know that it’s seen and absorbed every significant sci-fi and horror film preceding it, and flings bits of all of them at us. Elements of the tone and story seem awkwardly transplanted from different films: daffy blockbuster earnestness from The Da Vinci Code; intellectual portentuousness from 2001: A Space Odyssey; sleekly fastidious robot servant and chirpy, marked-for-death geek sidekicks from you-name-which-cliché-ridden-mainstream-flick. For all its newness (and the visuals, certainly, are ravishing, even if the 3D lends little of note), Prometheus feels oddly second hand. Some of its set pieces are impressive, thanks to stratospheric technical values and a largely effective cast; others work less well. Inescapably, the film operates as a set of such discrete moments, rather than a fully-realised narrative. General release from 1 June 2012. In the definitely-not-a-prequel-to- Alien, a spaceship's crew investigates what appears to be an alien vessel. Despite a largely effective cast and stratospheric technical values the plot is murky and the tone is inconsistent, as if the creators are no wiser than the audience about what it all adds up to.